How fitting a legacy that would be for a genius at comic relief. This is the third time in recent weeks that I’ve been startled by a confrontation with depression, mental illness, or emotional distress that wrought havoc or brought death before such suffering could be successfully treated. And those were only three high profile cases that are emblematic of countless others, especially people on the margins of society with no one particularly paying attention to them. With no other thread than that, here are my encounters, and each one had impact. He’s reaching out to players who might need help, teaming with mental health organizations through his charity and raising awareness and cash for early-detection programs. 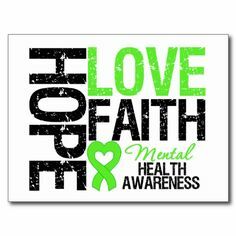 Mental health issues can’t be taboo. They still are though, which is why so much of the population, including high profile celebrities, suffer in silence or within a small circle of closest family and friends. This must change. Over the years, I recall several cases of prominent professionals whose grown children had ended their own lives, and couldn’t imagine the dreadful horror of such an experience nor how one could live through it. Once you’re a parent, you just know that’s the worse thing that could happen. And it happens to anyone, even the unlikeliest of people and families. Like beloved Pastor Rick Warren of Saddleback Church, American’s Pastor as many people see him, who couldn’t save the life of his own son. I encountered that story again over the weekend in a poignant interview with Raymond Arroyo in ‘The World Over’ on the EWTN network. It covered Pastor Warren’s initiative, ‘A Gathering On Mental Health and the Church’, and the tragic event that inspired him to focus on the issue of mental health, the death of his own son. It’s heart wrenching beyond words to see these parents go out publicly trying to save others from such unspeakable tragedy. But the hope of saving them is greater if they can be reached, and going back to Brandon Marshall’s point of his mission, mental health is still a taboo subject, so people won’t talk about it the way they will about any range of other health issues for which there’s a support community and charitable organizations championing the cause. Again, that must change. Now, for the third time in as many weeks, the tragedy of mental despair unresolved and maybe largely unaddressed has hit us all, like a sucker punch that knocked the wind out of everyone. New media preempted coverage of the crisis in Iraq, the Israel-Hamas war, the brink of war between Russia and Ukraine, and other major breaking and developing news stories, for blanket coverage of the suicide of Robin Williams. How terribly tragic. The articles and television videos and remembrances are so vast, let them celebrate this one man’s life and life’s work that elevated the hearts and minds and spirits of countless people while his own were sinking into darkness. Here are only a couple I’d like to point out. Depression is a hissing false witness. It lies and tells someone there is no hope; it lies and declares, “you’re a fraud”; it lies when it warns you to hide your feelings, because people won’t love you if they know how terrified and alone and desperate you feel; it lies and sneers that you’re weak — that you can just snap out of it, anytime, if you really want to; it croons the lie that love is not real, and hope is for suckers; it whispers the most insidious of lies: that your pain will never ebb, cannot be transcended, and has no value at all. After a while, the pain begins to feel like all you are and all there is: a worthless, pointless void. And when your life becomes just pain-without-end, suffering-without-meaning, tomorrow seems like less a promise than a prison. When depression wins, it is such a damned tragedy, no matter whether it has carried off a big rich somebody, or an ordinary nobody, because it is the victory of an incessant liar. Biblically, that refers to ‘the Accuser, who stands night and day accusing incessantly until you hear and start believing that voice, which is the voice of a liar. Who doesn’t hear that voice? But who has moral and mental and spiritual support behind them and who doesn’t? That’s so key to making this a subject and condition to talk about in the mainstream public discussion of health. My friend Kathryn Lopez posted this poignant piece on her blog, refreshingly innocent and yet deeply knowing about the human condition. What if every person of faith who ever laughed at a Robin Williams joke, prayed for him? And every day it happened? Could this be a new way for us to live? I remember watching Dead Poets Society when it first came out and being so taken with the pain of a young man who lost all hope. Young men, we pray, grow up to be men. And even then … the burdens of pain may grow, despite success. God help them, God heal them from the pain of what they believe about themselves. We see talent, they can’t see past fear. Sunday night, I had turned on the TV to see if anyone was doing anything different given the Christian extermination — and then-some — in Iraq. Not really. So after a quick journey into the center of the Teen Choice Awards, I stopped inside a classroom with Robin Williams, a movie I hadn’t seen in years. The daughter of teachers -– and a schoolgirl who quite liked being a student — I remembered how grateful I was a teacher was portrayed in a good light. I didn’t watch much of Dead Poets Society Sunday night but I felt prompted to pray for Robin Williams Sunday night. Perhaps simply in thanksgiving. Perhaps because we are — all the baptized — are the body of Christ, and I was called to hear a cry for help from a brother. Perhaps because he needed prayers and God wanted me receptive to this, interceding for his pain. God looks out for His Creation and relies on His adopted sons and daughters to do the work of His graces, living sacramental lives as the Body of Christ. I only prayed briefly for him. What a world it might be if, every time someone made us laugh or otherwise entertained or informed us, we prayed for him? What if we always prayed in thanksgiving and with the knowledge that we don’t know what lies beneath? Anyone who followed Williams’ career knew he had his struggles. We often don’t know. But it’s so often there — no matter how clever or talented. We’re only human. We must pray. And be alert — looking and listening for opportunities and promptings. Our lives must be ones of prayer and we must set aside time and plead with God on behalf of those who suffer most. In front of us and a world away. To say “we must pray” is so counter-cultural, and yet Kathryn Lopez is an editor-at-large of a national secular news organization out of DC and New York who regularly blends the secular and the sacred, faith and life, God and man, applying eternal truths to cultural relativism. She does it so well. One of the Patheos bloggers posted an interesting piece on the saints who suffered from depression. With this topic very much in the news today, it seems a good time to remember that even the holiest of people have suffered from periods of despair. It’s a comfort of sorts, a relief for those willing to engage it, and a resource for hope. Pray if you will or don’t if you won’t. Kathryn Lopez and Deadon Kandra just make a suggestion and a very good one for those who see the merit and the power of prayer. God only knows what a difference it may have made for Robin Williams. And all the other individuals out there whose names we don’t know who are suffering as he did. God willing, it may save their lives.